Yo ho ho! 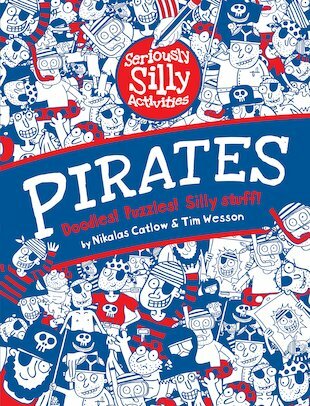 It’s time to set sail on the seven seas of supreme silliness, shaking your cutlass for perilous pirate puzzles and games galore. Leap aboard, matey! 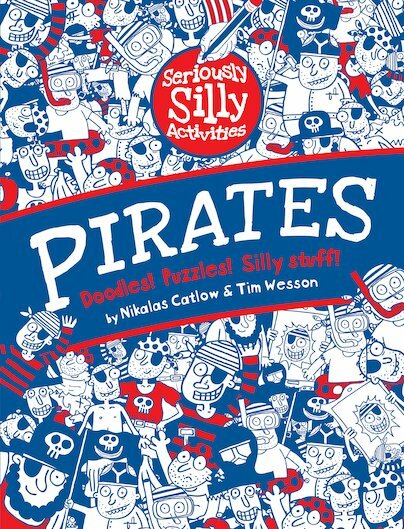 In this book of daft and daring doodles and activities, you can muddle through mazes in search of treasure, hunt for buried pirate plunder, sketch some scurvy sea-dogs, and much more. Do the pirate pants puzzle! Feed a hungry sea monster! Match the pirates to their shadows! Give your crew some odious orders! Hoist your Jolly Roger for a voyage into adventure. It’s seriously silly fun!